Timijiraque Protected Landscape, Valverde El Hierro. Discover the protected landscape of Timijiraque, on the island of El Hierro. Timijiraque is a protected landscape with more than 383 hectare located in Valverde on the small yet charmful island of El Hierro. 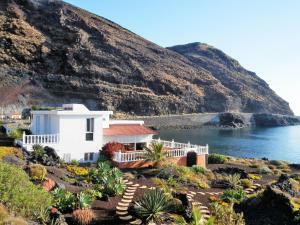 Timijiraque was officially declared in 1994 as a Canary Islands Natural Protected Site. On this spot you’ll find a virgin landscape with enormous cliffs, away from human occupation. Also you’ll have the chance to see some vegetable rare species as, for example, the bird’s tongue.